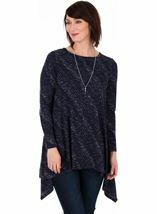 The perfect tunic for your wardrobe this season, looks great teamed with leggings. 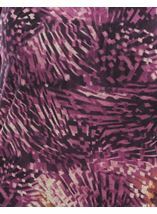 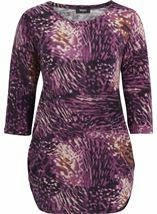 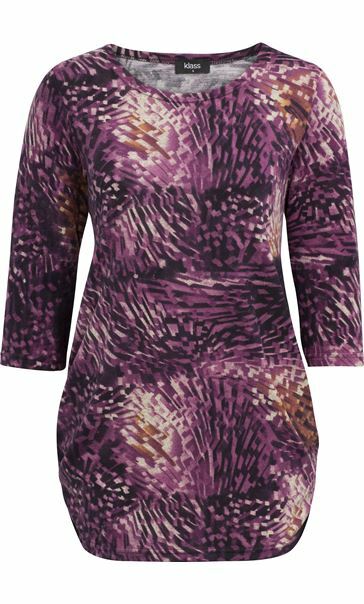 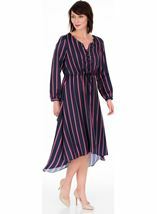 Loose fitting and crafted in a soft lightweight fabric in a grape hue print, three quarter length sleeves, round neckline and finished with ruching to the sides. 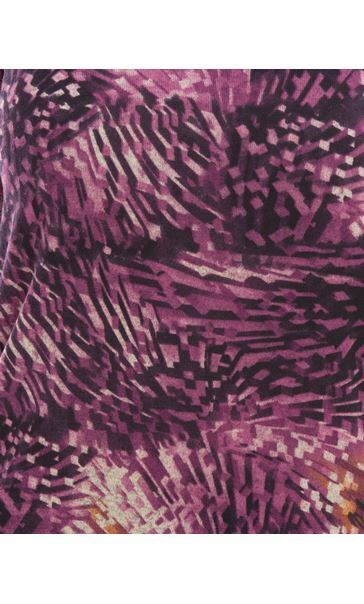 Back length 77cms.